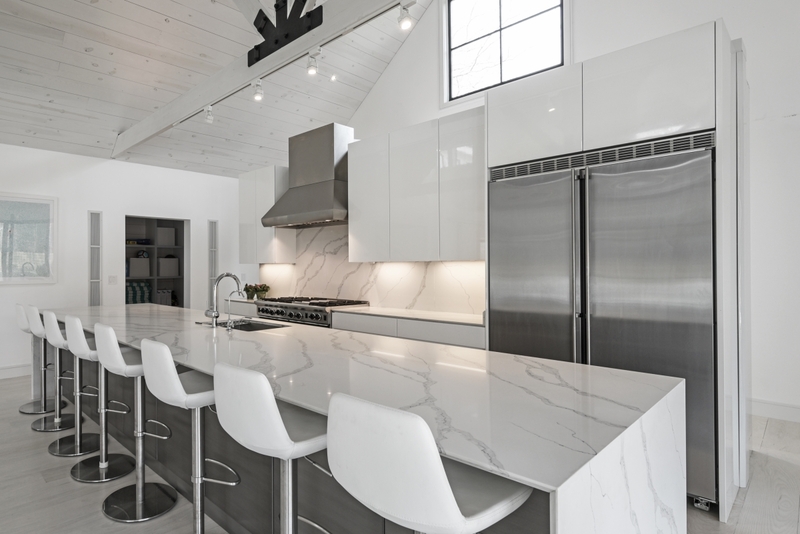 In The Know by Al Giaquinto President, Plum Builders Inc.
To answer the question of what home buyers want Al Giaquinto shares his insights and how the needs of the clients have shaped his forward-thinking and trademarked design The Modern Barn®. What are clients asking for? Most clients are compelled to build new or to renovate because they need more bedrooms than they currently have. As little as 30 years ago 3-bedroom homes were the standard. So, clients today usually expect us to design and build for a minimum of 5, and one of them can be in a lower level. Homebuyers like all bedrooms to be ensuite, and they usually ask for special attention for their own master suite to make the space comfortable and private. We sit with new clients asking dozens of questions to get a sense of what our clients need. What we continuously hear is that they want a home that fits their family and then a home that reflects their lifestyle and summer! They want bright, light and comfortable living which is clean and uncluttered. Many shingle style homes still have a formal dining room, and most families want to reallocate that space differently. They want to open the kitchen, take down the walls and push the boundaries of socializing to accommodate the greater need for space. They ask us for The Modern Barn® Room, this room is normally an oversized space that can accommodate at least two eating areas. Today those spaces are normally anchored by popular long tables that serve many functions besides a place for sharing meals. So, clients today are looking for multifunctional useful spaces that can fit a crowd of family and friends that are sharing a meal or raising a glass in celebration or hosting a book club, perhaps even displaying a science project for all to view. Visit our gallery to experience expansive living. 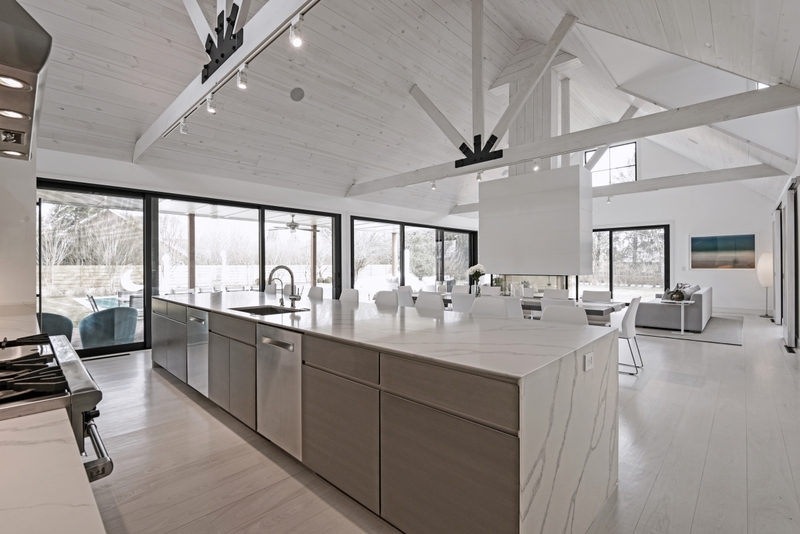 In keeping with light and bright spaces, clients want light colored wood floors and countertops that don’t stain and neutral colors as a backdrop in showcasing the natural world outside. And clients want just enough wall to show off an oversized painting or photograph or a collection of their choosing. To us, this is recognition of the yearning for human nature to live in meaningful spaces which are comfortable, light, bright, and functional. If you’re interested in building your own Modern Barn® we would love to hear from you, contact us to explore the possibilities.